Companies who embark on implementing Lean Manufacturing and Lean Supply Chains can typically expect 20-30% reductions in cost, 50% reductions in total inventory and 50+% improvements in quality. Group50’s core expertise is Lean Manufacturing and Supply Chain consulting. That set of activities that start with raw materials and finish with a completed product in the customers’ hands. For companies who embark on a Lean Manufacturing journey, it is critical to engage a consulting firm who is capable of supporting the journey from start to finish. 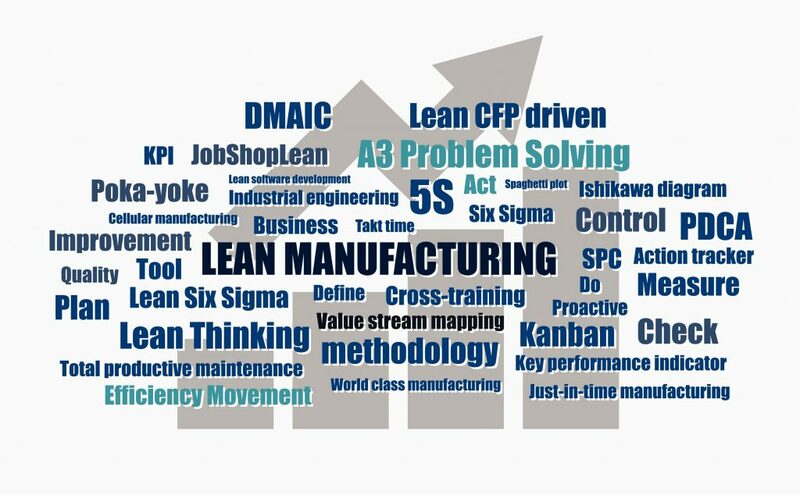 At Group50, we have subject matter experts who understand the investigation, design and implementation of lean manufacturing and supply chain programs. They understand the change management process required to successfully implement lean programs that are scalable and sustainable. These 8 categories of effort can be applied anywhere in a business, but manufacturing, distribution and supply chains who focus on these areas of waste have the lowest cost, shortest lead times, highest quality and highly skilled people. Implementing Lean Manufacturing requires more than 8 categories of waste. It requires utilizing the proper tools and methodologies for identifying the areas of waste inside a company that will generate the maximum ROI by addressing strategic and operating gaps. We utilize tools such as Value Stream Mapping, Financial Modeling, Spaghetti Diagrams, Work Flow analysis, Supply Chain Modeling, Six Sigma Tools and techniques such as the DMAIC process and many others to identify and root out wasted effort. After the recommendations are completed, we work closely with our clients to redesign business processes, work cells, plant layouts, supply chains, distribution processes and techniques as well as the Digital and IT systems that support the end to end set of activities from raw material to delivery of finished goods to the customer. We also insure that when our work is completed, the organization is capable of moving forward. Companies who embark on implementing Lean Manufacturing and Lean Supply Chains can typically expect 20-30% reductions in cost, 50% reductions in total inventory and 50+% improvements in quality. Call us today for a Lean Business Assessment or a Lean Manufacturing Assessment to understand your opportunities for significantly reducing waste, maximizing value and financial performance by calling (909) 949-9083, sending a note to info@group50.com, or by requesting more information here..